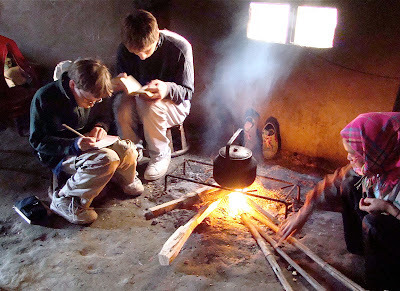 Home > suitable place for taking a rest at Sapa > Are you looking for a homestay for your trekking? From the popular Lao Chai and Ta Van homestays to the quiet and remote village of Lao Chai San, each homestay has a different feel, but all offer the traveller a rare glimpse into the way of life that has all but vanished from the rest of Asia. Here you will find no welcome mats or rehearsed “cultural” parades, just real people living real lives who greet visitors with genuine warmth and real smiles. Let Vietnam Typical Tours provide you with some brief information. There are two types of homestay. The choice is either a well established mini guest house style homestay with other travellers or staying in a traditional Hmong home as exclusive guests. In both, expect to experience village life in all its glory. On the plus side, you will get some quality time with the wonderful Black Hmong community. Hmong homes are set within the famed rice paddies and have incredible views if the weather permits. On the downside, expect to be awoken early by roosters or the families livestock. You can choose towards the end of your trek which type of homestay you want to stay. The guesthouse style homestays are quite large and built from wood or brick. There are no separate bedrooms or en suit bathrooms and only some homestays have wifi. The guesthouses do have electricity. Typically, there is one big open space upstairs, which is then divided into zones with mosquito nets. The photos below show the sort of setup you might expect. These homestays normally have a couple of western style toilets and warm showers. The number of guests varies per day, but typically, two to three groups will share a particular homestay on any given night. 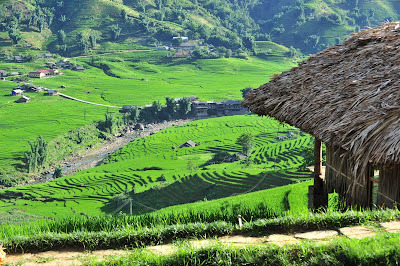 In the case of Sapa, that house is likely to be the home of a Hmong or Red Dao family. Red Dao homestays usually include a herbal bath so you’ll be able to take it in turns to have a bath. The format varies, but at the last place we stayed it consisted of two big barrels in a small side room; the host gave us towels, we put on swimming costumes — optional — and climbed in. Fifteen minutes later out we hopped out with smooth skin and a red face. It’s not refreshing but is good to ease those leg muscles. Dinner will be prepared by the host and their family, so you can enjoy a beer or soft drink while waiting — drinks cost extra but shouldn’t be too pricey. The menu is likely to have been modified from what the family usually eats to appeal to foreign palates, but will still be Vietnamese: spring rolls, rice, stir-fried meat and veg. You will probably eat together with the host and have the opportunity to ask questions — with your guide translating — and spend time with the family. On our last visit, to a Red Dao home, some of the group tried the smoking pipe with the man of the house and various magic tricks and illusions were shared with the younger members of the family. The evening continued with more beer, rice wine and card games. Next morning, expect to wake early, or wear earplugs. Breakfast will be served around 07:00 or 08:00 and there’s a high chance it’ll be pancakes. You’ll say goodbye and off you will trek. Don’t assume a shower will be available, although in some houses it will be. Finally, another very good reason for doing a homestay is to support the locals. Income from homestays can dramatically improve the lives of the hosts and the village overall. 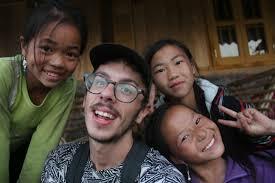 If you think you are a person who is always want to experience something new, our Sapa Homestay Tours will make your day!